At INK, we are building a global community that turns ideas into reality. 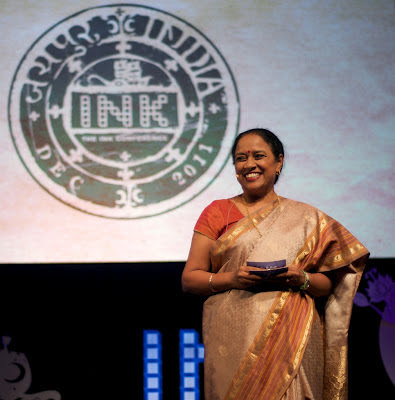 On INKtalks.com, we showcase inspirational ideas that contribute to solving the major challenges of emerging economies. INK then incubates these ideas and fuels them into projects with impact. Just as ink is an essential ingredient used to express thoughts, INK is a physical and digital platform for people to share ideas and drive them to action. INK's vision is one of global conversation and action among cultures ancient and new, economies established and developing, and great thinkers, expert and rising. INK is part of a movement to change how young people view their world, goals, and ambitions. We want to inspire the younger generation around the world, particularly in emerging economies, to become creative and innovative, to carve out one's own unique definition of success, by presenting role models and speakers on our site who have done just that. We seek to innovate the attitude of societies with narrow definitions of success into an attitude that celebrates broader definitions of success. The ideas that we showcase at INK are originated by people who have followed their own unique paths of success, the type of success that is not measured in dollars or rupees but in the amount of impact it has on society. INK provides both a platform for a global dialogue to take place and a springboard to launch ideas into creative action. INK is particularly interested in including ideas from young economies in Asia, the Middle East, and Latin America, in this global conversation. Our digital and physical forums are spaces for the INK community to brainstorm innovative solutions for broad scale problems, in the areas of education, governance, energy, health, poverty, and infrastructure, in young economies. Think of INK as a curator of contemporary oral history. We do an extensive global search to find the best ideas to invite to our events. Our cornerstone event is the annual INK Conference in association with TED, which brings together the world's movers and shakers who then share ideas. The exchange of stories, ideas and dreams does not start nor stop at the conference; it is merely one of the many methods that facilitate the open exchange. In addition to our annual conference, INK also hosts KIDSInk and INK salons, mini conferences, across the globe. The INK Fellows Program is an annual program that recruits 20 young innovators to attend the INK Conference and become members of the INK Community. INKFellows are budding luminaries in their respective fields, inspirational role models and the architects of tomorrow. The INK Fellows program mobilizes young innovators and changemakers from emerging economies to bring their ideas and passion to the INK Community. Register for INK2013: All That Matters and INK Live 2013!